The Fellowship of Christian Athletes has been touching millions of lives . . . one heart at a time since 1954. FCA encourages coaches and athletes to use the powerful medium of athletics to impact the world for Jesus Christ and focuses on serving local communities by equipping, empowering, and encouraging people to make a difference for Christ. The mission of FCA is to present coaches and athletes, and all whom they influence, with the challenge and adventure of receiving Jesus Christ as Savior and Lord, serving Him in their relationships and in the fellowship of the church. 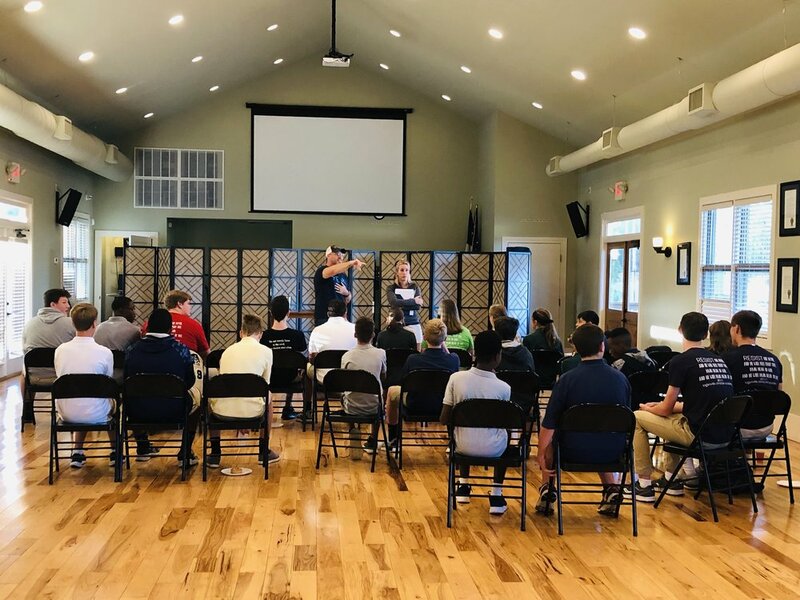 The vision for FCA at LCA is to give student-athletes a group of like-minded peers who can seek answers to their questions, fellowship with other student-athletes, and encourage and uplift each other through the challenges of being student-athletes. We also want it to be a group where leaders can use their gifts to practice reaching out, mentoring, and sharing God’s message to peers, so they would be comfortable and practiced enough to go out into their teams and communities and share the gospel. 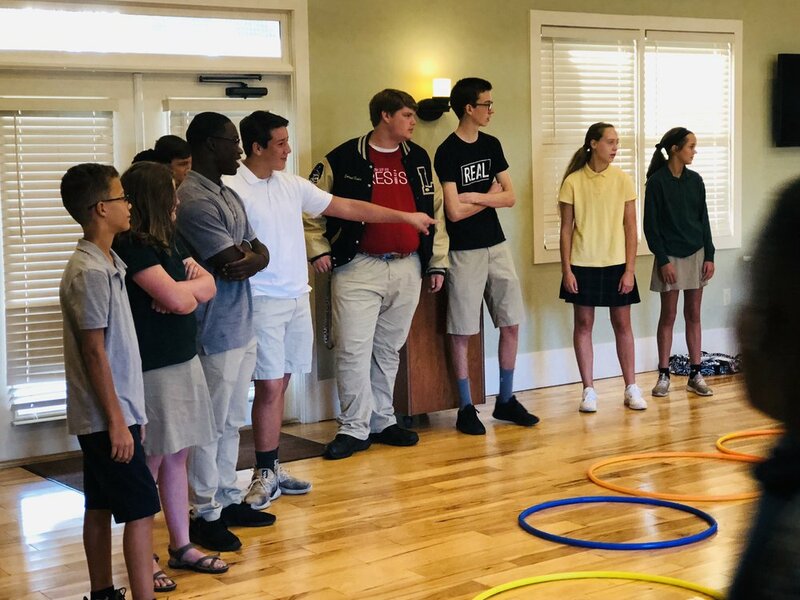 LCA is part of the Walton County FCA group that consists of all schools, public and private, in Walton County, and Telesa Kendall is our area director. LCA will be involved in events with these and other schools, which is a great way for our student-athletes to serve with and get to know other student-athletes in the area. My name is April McClendon. My family is new to LCA. Our two sons, Chantz and Cade McClendon, have enjoyed becoming part of the Lion Pride and participating in the football program. I am an educator who has served in Christian schools for fourteen years. I am not currently teaching, but that unexpected blessing has given me more time and a passion to help with LCA’s FCA (Fellowship of Christian Athletes) program. My husband, Charlie, and I have been a part of FCA for the last three years at my previous school. I have been an athlete of multiple sports (volleyball, basketball, soccer, and softball) my entire life up through the college level, and I have either coached or assisted in coaching soccer, softball, and basketball. My husband played basketball, football, and baseball in high school and has coached football. Our three sons have participated in multiple sports at different levels as well. We are a sports family! Through my experiences as an athlete and coach, I have known the power of athletics to change lives and affect the lives of others through the sport. Later in life, I found salvation in Jesus Christ and realized that same power in His ministry calling of all Christians to become new creatures in Him and to help change the lives of others by leading them to Him. So, FCA has taken the Good News and incorporated it with a very powerful outlet for changing lives. We have, as a family, found FCA to be an impactful way to use our passions—sports and Jesus—to serve and lead others to Him. We have been given the privilege, along with Hank Evans and Jonathan Lowe—teachers at LCA, to be a part of continuing the FCA program at LCA. We are blessed with this opportunity to coach life skills, Christian ministry, character, and leadership. Even if your student does not plan on participating, please help us by keeping this ministry in your prayers so that we may fulfill the vision to see our school and community impacted for Jesus Christ. Also, look for opportunities to support the ministry through the various events we will take part in and share with you. If you want to learn more, check out the website at waltonfca.org and feel free to contact me with any questions you may have.